Talsa, more than 100 years of industrial and business experience. With each passing year, in Talsa, Talsabell, we reaffirm our commitment to our clients, providers and friends. More than 100 years and four generations of the Belloch family, have accomplished an awesome transformation. 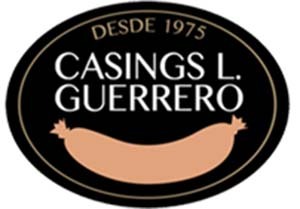 What started as a little mechanical workshop, established in the year 1900, has become an international reference in the production of processing machinery for the meat industry. More than 80 years in the meat and food industry. In just a few years, the little mechanical workshop grew and specialized in the manufacturing of machinery for the meat and food processing industry. Talsa has now more than 80 years of experience in this area. The machinery manufactured by Talsa for the meat industry is exported to different countries all around the world and is recognized for its quality. Fillers, stuffers, mixers, mincers, grinders, cutters and cooking kettles with different capabilities and functions, are included in the complete Talsa catalogue of machinery for the meat and food processing industry. As most of Talsa’s production is destined for export markets, especially for the European Union, Talsa’s commitment to quality is part of its identity. Talsa is associated with different Quality Control verification and advisory agencies such as AIMME, SERING, ICEM, LGAI, APPLUS+ y LSAE. Talsa wants to end this year with a New Year’s greeting through a video clip. It shows the range of products in which Talsa is world leader, that is, the manufacturing of medium capacity machinery for the meat and food processing industry. This blog’s editorial team wishes Talsa great success for the coming year 2015.